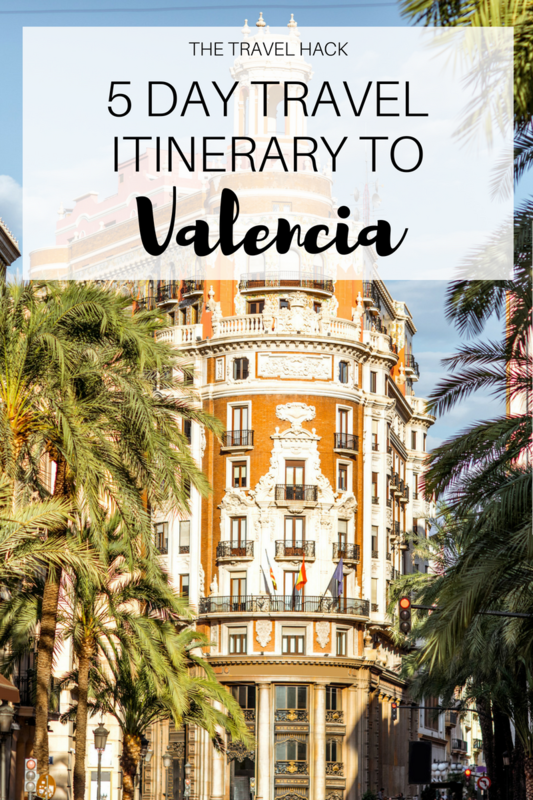 If you’re looking to plan a 5 day trip to Spain’s third-largest city then read on for my guide to Valencia. In today’s Valencia guide, you’ll find my full five-day itinerary and suggestions on places to eat, see and stay while you’re in the city. 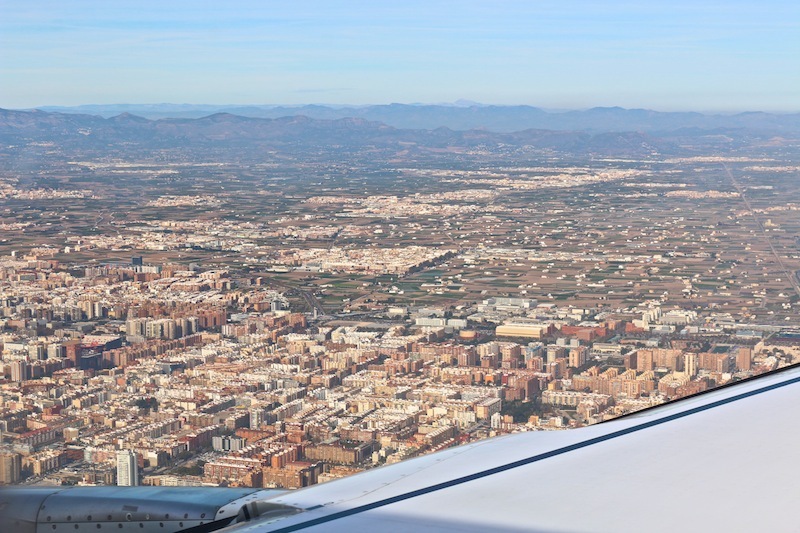 I flew into Valencia from Manchester via Dusseldorf and I arrived with that fresh and excited optimism that comes with visiting a new city. I didn’t know what to expect at all, having read no guides to Valencia before arriving. I know some people would find this pretty terrifying but I love the excitement of an unknown city. I was met by David from the tourism board at the airport. We took a quick stop at my hotel before heading for lunch at a very traditional restaurant, Palace Fesol. I was so happy to have David with me as this was the kind of restaurant I would have walked straight past if I were on my own. He gave me a brief guide to Valencia and told me a lot about their way of life and it was here that I began to pick up on their love for long lunches and great food. So, after a long lunch I was free to start exploring the city. Of course, the moment David left me I became hopelessly lost. My battery had died on my phone so I couldn’t use Google Maps to figure out where I was and I’ve never been any good with paper maps. Getting lost in an unknown city used to terrify me. I’d be following Google Maps so closely that I’d miss everything around me and I wouldn’t feel comfortable unless I knew exactly where I was. But here I was strolling around Valencia feeling as lost as you can possibly get, and I didn’t even care. It got me thinking about how much I’ve changed since I started travel blogging. As this is my job, I often have to travel solo. 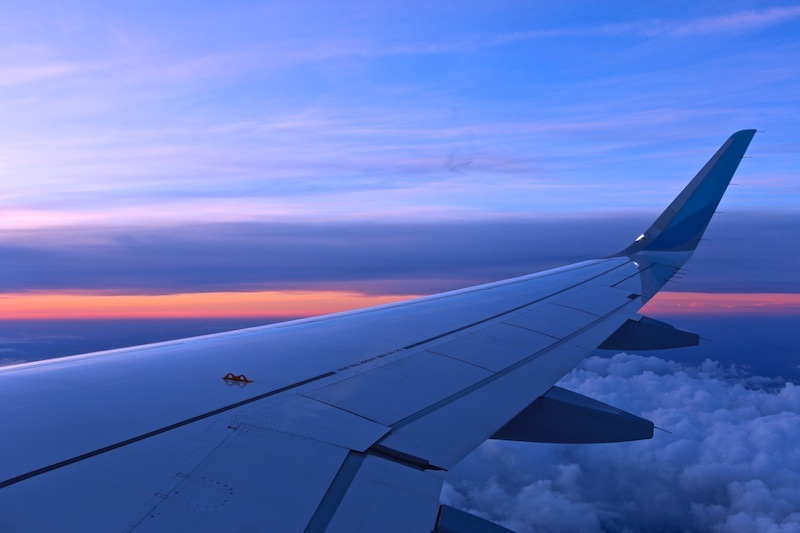 I’m not a natural solo traveller and I always rather travel with someone else but I’m totally happy to travel alone. I’m now way more confident and comfortable being alone – even in a new city. I don’t think I would have believed it if I’d been told this a few years ago. Anyway, I strolled through the city until I was too tired to stroll any more and then I jumped in a taxi to take me back to my hotel. I’d had a vague feeling I was getting closer to my hotel but I still had no idea how to find it. 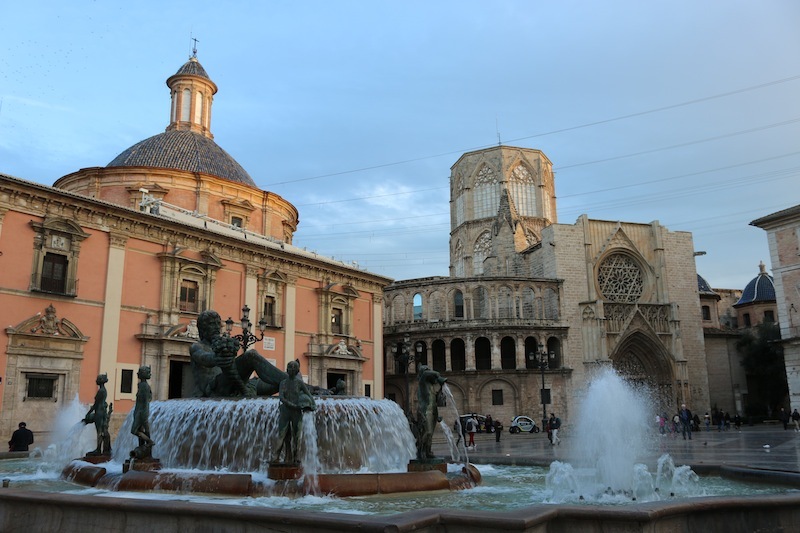 I was staying at Caro Hotel, a beautiful hotel in the historical district of Valencia and just a couple of minutes walk from the main cathedral. Of course, I didn’t know this at the time and I had an embarrassingly short taxi journey where the meter didn’t even change from the initial €4.00. I was meant to be going out for dinner but once I’d relaxed and had a shower the only place I wanted to go was bed. The 5am start to the day and that long walk had caught up with me and I slept like a baby for the first time in ages – probably the first time since George was born! I missed my little guy but in some ways it was nice to be away and be a normal, baby-free adult again. My second day in Valencia began with a cycling tour with Passion Bike. Bike tours are my favourite way to see a new city as you move fast enough to see a lot but no so quickly you can’t take it all in. If you’re looking for things to do in Valencia, I highly recommend one of the cycling tours. My guide, Alexia, was bright, fun and very knowledgeable. She was Italian but after holidaying in Valencia with her family she knew it was the kind of city she wanted to live. She soon moved here with her boyfriend while she studies and works as a tour guide. We began the tour in Plaza de la Virgen. This is essentially the historical heart of Valencia and any visitor to the city should start here. We cycled through the park, which is one of my favourite things about Valencia. The 9km long park was once a river that ran through the city. The river flooded in 1957 so it was redirected to avoid it flooding the city again. The dry riverbed was then turned into a park that runs the length of the city. At one end you’ll find the zoo and a gorgeous lake. At the other is the Museum of Arts and Sciences. In between, there are 16 bridges, each with its own unique charm and design. My favourites are the flower bridge, Puente de las Flores, with 27,000 flowers lining the walls. 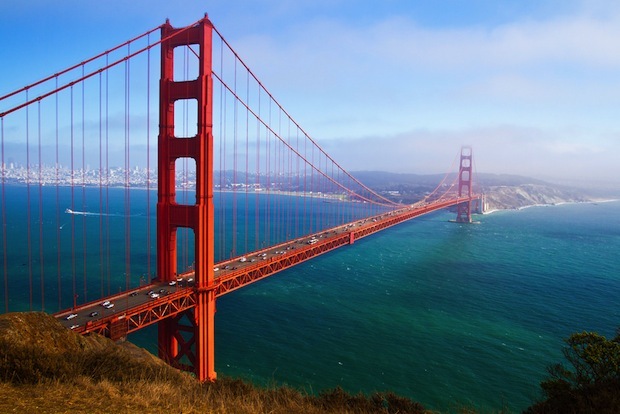 The flowers are replaced 3 times a year, making it the most expensive bridge of them all. The simple and modern white bridge is stunning and the old stone bridges reminded me of the history of the city. I guess these bridges all represent Valencia. Sometimes it’s grand and historical. Sometimes it’s sleek and modern and sometimes it’s bright and playful. The tour ended in the park with a coffee before I said a sad goodbye to Alexia. I wish she could have stayed with me all week. She gave me the confidence to negotiate the city by bike on my own. It’s a bike friendly city so this really is the best way to get around. I had lunch at Lienzo Restaurant where I had ‘gastro tapas’. If you’re a real foodie then you’ll love it here but the quiet atmosphere and complicated dishes weren’t for me. At around 5pm I headed up to the top of the bell tower in the cathedral. Alexia had given me the tip and said sunset is a great time to head up. There are 207 steps to reach the top so I was happy to get stuck behind an elderly lady who was taking things slowly. So slowly I wondered if we’d ever make it to the top before sunset. Thankfully, we did and the views were beautiful. 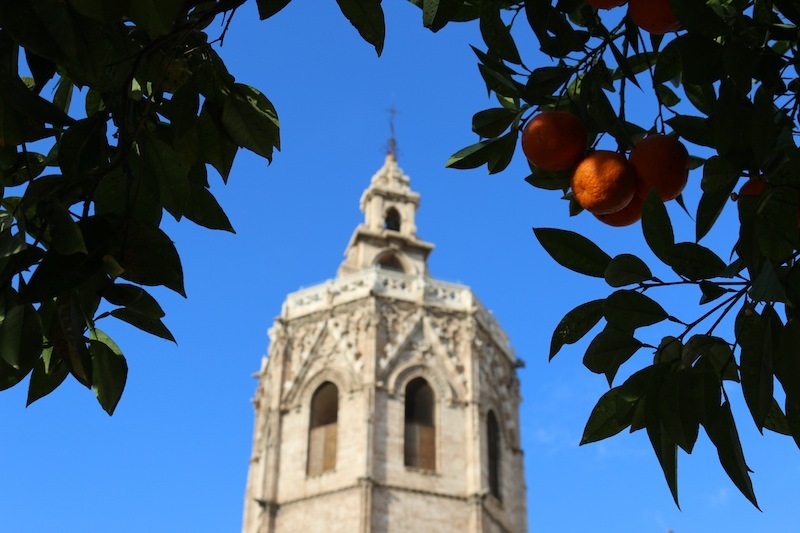 The wind whipped a warm breeze as bells rang and echoed around Valencia. I spent most of Friday doing a paella cooking course at Escuela de Arroces y Paella Valenciana. Valencia is the home of paella and I was learning how to make it properly, which felt like a fantastic thing to do in Valencia itself. The locals are very particular about their paella and getting it ‘just right’ is a national skill. The course began at the Mercado de Colon where over 400 stalls sell fresh produce. It’s one of the biggest food markets in Europe and it’s a joy to wander around. We took it slowly, picking up everything we needed for our paella before returning to the restaurant. I was taught how to make the perfect paella and I finally got to enjoy it at the end. It was a really fun course and I’d definitely recommend it if you’re travelling with a group of friends. It’s much more fun than just going out for lunch and you also get to try some tapas and plenty of wine. When I emerged from the cookery school it had turned into a beautiful day so I spent some time taking photos and strolling around the city. I stopped at Horchateria de Santa Catalina, a traditional café in the historical district. The beautiful, ceramic façade enticed me in and I ordered horchata and fartons. This is a very traditional snack and makes the perfect afternoon pick-me-up. Horchata is made with ground tigernuts and tastes and looks like a very sweet milk. It’s served icy cold and usually enjoyed with fartons which is a pastry similar to a croissant sprinkled with icing sugar. Apparently, you’re meant to dip your farton in your horchata but soggy farton seemed pretty gross so I couldn’t do it. Later that afternoon I headed to Ruzafa which is the trendy ‘hispter’ area of the city. They say it’s the Soho of Valencia but it’s more the Shoreditch of Valencia. This is where the cool kids hang out and I wanted a slice of the action. I had a fabulous guide called Carla who lives in the area and showed me all of the hotspots. We visited galleries and artist’s workshops, stylish boutiques, craft shops, cute cafes, trendy restaurants and, my absolute favourite, a cocktail and cake bar. Why aren’t cocktails and cakes a popular thing!? I left Carla and did a spot of shopping (OK, a lot of shopping) before heading back to my hotel. I couldn’t believe how different Valencia felt on Saturday. I was used to having every tourist spot to myself and suddenly there were crowds of tourists gathered around tour guides and historical monuments. On Saturday I messed up and missed a tour I was scheduled to be on. I was meant to be touring the Cabanal District which is said to be becoming the new hotspot in the city. But I read my itinerary wrong and missed it so I pretty much had a day to do my own thing. I headed back to Passion Bikes where I rented a bike for the day and went straight to the park. It was such a beautiful day and I loved joining the other cyclists as we effortlessly breezed through the park. Cycling is such a joy when you have nice weather, nice surrounds, and a nice smooth path. I cycled to the City of Arts and Sciences which absolutely took my breath away and should definitely feature in every guide to Valencia. I finally tore myself away and cycled to the beach. I actually got ridiculously lost on my way to the beach and spent a lot of time cycling around residential apartments. Looking back, I have no idea how or why I got so lost – but at least it was good exercise and makes up for all those spin classes I’ve missed. I cycled around the marina and saw the old Formula One Grand Prix track and the old stock buildings. I then cycled all the way along the beach. It was so nice to be out in the fresh air, weaving between palm trees and feeling the sunshine on my face. January is such a miserable month in most of Europe so I couldn’t have been happier to have escaped it. I stopped for a few beers and burger at a nice restaurant overlooking the beach. It’s not very traditional, I know, but after so much cycling I really needed a beefy burger and chunky chips. That evening I had dinner at Ma Khin Café within Mercado de Colon. It’s a healthy fusion food restaurant serving delicious, healthy Asian food. I had a 5 course tasting menu which was pretty epic. I visited Café de las Horas on Sunday morning. It’s a café with a dramatic and theatrical twist with grand décor and elaborate touches. I sipped my coffee and freshly squeezed juice while listening to American tourists chatting about their stay. I left Valencia with a mixture of feelings on Sunday. It was the longest I’d ever been away from George and I missed him so badly – especially when he’d shouted Mama for the first time when I’d FaceTimed him. I couldn’t wait to get home to George and Sam and Louie but Valencia was a city I could have happily stayed in for a few more weeks. 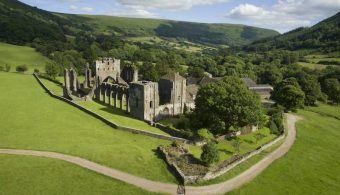 I was just getting to know the place, find my way around and discover my favourite places, I didn’t want to leave! I would love to go back to Valencia, possibly in a few years when George is a little older. It’s such a family-friendly city and tiny travellers could have such a great time here. 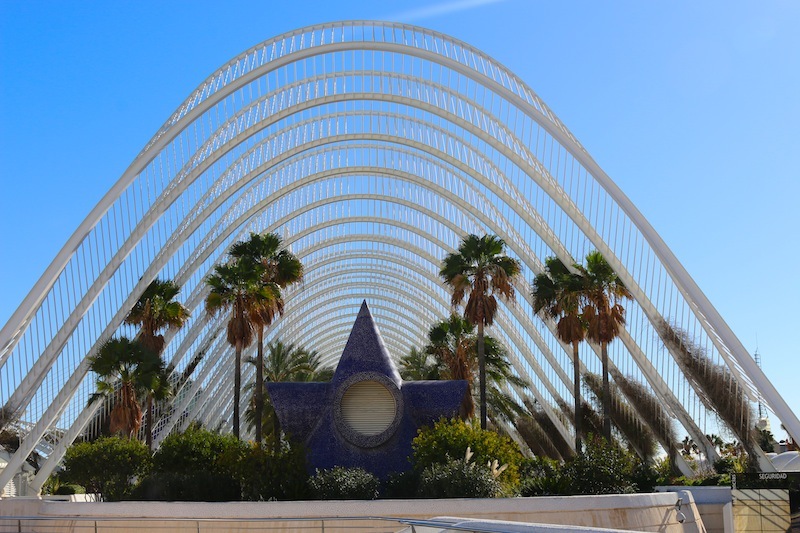 I visited Valencia with The Travel Mob with the support of Valencia Tourism. If you enjoyed this post you can sign up to my weekly newsletter for more updates from Valencia. Some really lovely photos here, really inspiring! I love paella so I’d love to do a course like that! Thank you Claire! You would love the paella course! I hope you have an amazing time Becky! The cooking class is brilliant and you really can’t miss the cake and cocktail bar. Have a great trip. What a fabulous trip! It really looks like you made the most of your time in Valencia! I did, I had a great itinerary. But it’s also a really easy city to see a lot in a short space of time – especially if you’re travelling around by bike. It looks like you had a lovely few days there, it’s most definitely on my list. There’s nothing better than getting lost in a new city. So true. I wish I’d known that 5 years ago and I would have chilled out a little bit when getting lost! Valencia was my honeymoon destination. It is just the best place for food, drinks, beach and amazing things to do! What a lovely place for a honeymoon! The paella making looks like such fun! I really was. And it’s so nice to bring something home that I can recreate. Hopefully it will taste as good when I do it myself! I’d never considered Valenica until I read this post. Just spent my lunchtime checking out flight options there! Can I ask, what sort of day bag did you use when wandering around? It’s just big enough for my camera, purse and a bottle of water and I can fold it away into my suitcase during the flight out there. 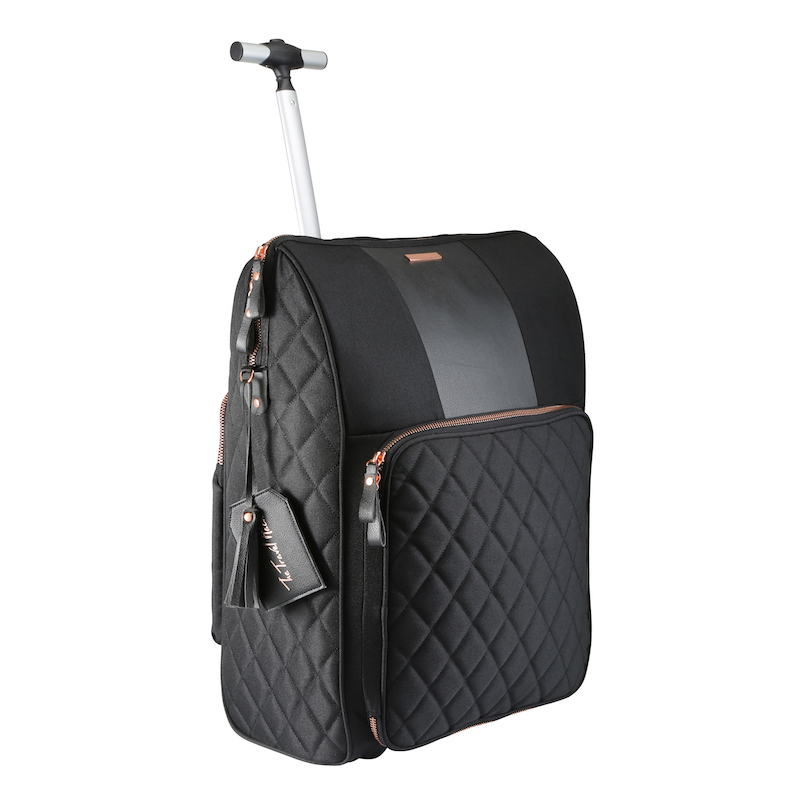 I fly with a bigger hand luggage bag because I travel with my laptop and a couple of cameras and lenses. Thanks – I’ll check out their website. I’ve always been a bit wary of carrying valuables on my back in case someone opens it from behind. I think it depends where you are and what you’re carrying. My DSLR is really heavy so I like it to be in a backpack when I’m not using it. And Valencia felt really safe. But if I was in a city that didn’t feel safe then I’d probably stick to an over the should handbag. It’s SO kiddie friendly, she’d love it! Cake + cocktails = perfect mum and daughter date! My heart is beating a bit faster having seen these pictures and read about your trip – knowing I’m going there myself soon! I visited that Horchateria when I went to Valencia a few years ago and I still remember the beautiful ornate tiling to this day. I also remember thinking I’d stumbled on a really perfect city break destination and was almost glad not too many others knew about it, as I wanted to keep it all for myself! I know what you mean, Valencia feels like one of those insider secrets that you kind of want to tell the world about but kind of want to keep all to yourself! Love your pics! 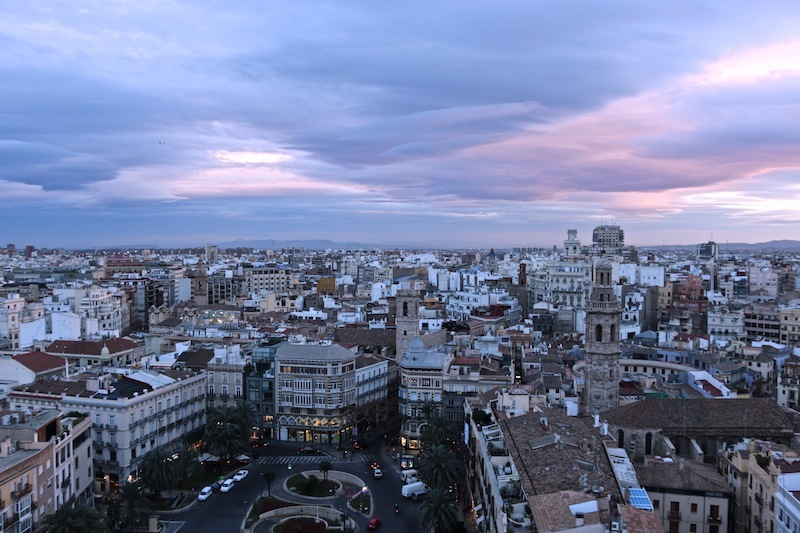 And it looks like I need to hit up Valencia sooner than later — beautiful! Thanks Dane. You definitely do!